Renal disease or kidney failure. Addiction helplines are confidential, free, usually open 24/7/365, and are available to individuals and family and friends of loved ones struggling with a food addiction. Phone lines are most often available in English and Spanish, and callers can request free pamphlets, publications, and other information. 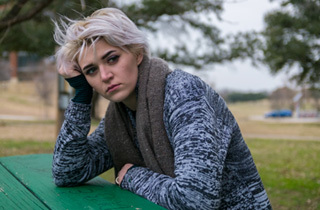 Support specialists answer when you call a reputable addiction helpline and can assist you in finding community-based support, mental health facilities, inpatient or outpatient treatment, and other eating disorder or behavioral addiction rehab programs. Some rehabs are dual diagnosis facilities, which treat behavioral health issues alongside substance abuse disorders. Trained hotline support specialists may ask for basic demographic information to find appropriate treatment in your area. Addiction helplines also provide information about various treatment centers, such as the clinical therapies offered, the cost, and admissions criteria. If you have no insurance, the hotline may refer you to state-funded programs or programs that take Medicaid and Medicare, or those that offer a sliding scale. A food addiction hotline may serve as a safe, confidential, non-judgmental outlet for someone who is otherwise reluctant to ask for help or talk about their problem. Perhaps you are not ready to attend a public support group right away or it’s difficult for you to bring up the issue with your doctor. Research suggests that identification of and treatment for compulsive overeating and other eating disorders may be caught in advance if practitioners and MDs more regularly asked patients about their food consumption patterns.5 However, since this isn’t common yet, calling a food addiction hotline may be a first step in the right direction. According to the National Institute of Mental Health, having an “eating disorder was associated with higher levels of suicidal thinking compared to those without an eating disorder.”6 In such cases, a crisis or addiction helpline could be a life saver. There are many hotlines available to direct you to the most appropriate treatment options for your particular mental health or addiction problems. Free Addiction Hotline:855-315-4766A national, free, 24-hour hotline providing resources for compulsive overeating and food addiction. Food Addicts in Recovery Anonymous:781-932-6300 This number reaches the national headquarters of the organization that provides information about local chapters and meetings. Food Addicts Anonymous:772-878-9657 This 12-step-based fellowship provides information about support groups and meetings for food addiction. Overeaters Anonymous:505-891-2664 This 12-step-based fellowship provides information about meetings for compulsive overeating, under-eating, food addiction, anorexia, bulimia, binge eating, or over-exercising. National Eating Disorders Association:800-931-2237 This is a toll-free, confidential helpline for people affected by eating disorders and their families. Volunteers are available Monday–Thursday, 9 a.m. to 9 p.m. EST and Friday 9 a.m. to 5 p.m. EST. Something Fishy:866-418-1207 This is a national hotline that offers information about all kinds of disordered eating. National Council on Alcoholism and Drug Dependence, Inc. (NCADD):800-622-2255 This national hotline directs callers to programs throughout the United States to assist with substance use and other addiction issues. Substance Abuse and Mental Health Services Administration (SAMHSA) National Helpline:800-622-4357 This is a confidential national phone service providing help to people facing substance use or addiction issues and their families. Teen Health & Wellness Hotline:800-784-2433 This site lists national hotlines for teens about various mental health and addiction issues. It also provides information about shelters and counseling services. National Suicide Prevention Hotline:800-273-8255 This is a free 24-hour national hotline that provides support for those in distress and crisis. If you or someone you love is struggling with a food addiction disorder or another mental health issue, call one of these hotlines today. Help is available. Fortuna, J. (2012). The obesity epidemic and food addiction: Clinical similarities to drug dependence. Journal of Psychoactive Drugs, 44(1), 56–63. Yau, Y.H.C. & Potenza, M.N. (2014). Stress and Eating Behaviors. Grant, J., Potenza, M., Weinstein, A., & Gorelick, D. (2010). Introduction to behavioral addictions. American Journal of Drug & Alcohol Abuse. 36(5), 233–241. Substance Abuse and Mental Health Services Administration. (n.d.). SAMHSA’s National Helpline. National Institute of Mental Health. (2007). Study tracks prevalence of eating disorders. National Institute of Mental Health. (2011). Most teens with eating disorders go without treatment.